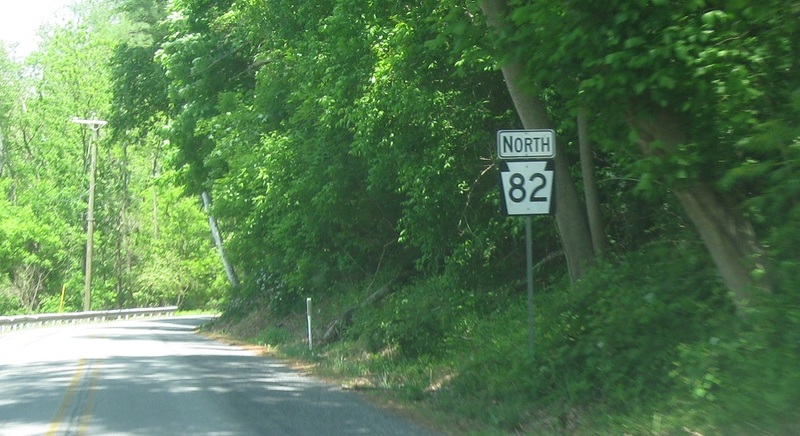 Reassurance shield as we enter the Keystone State. 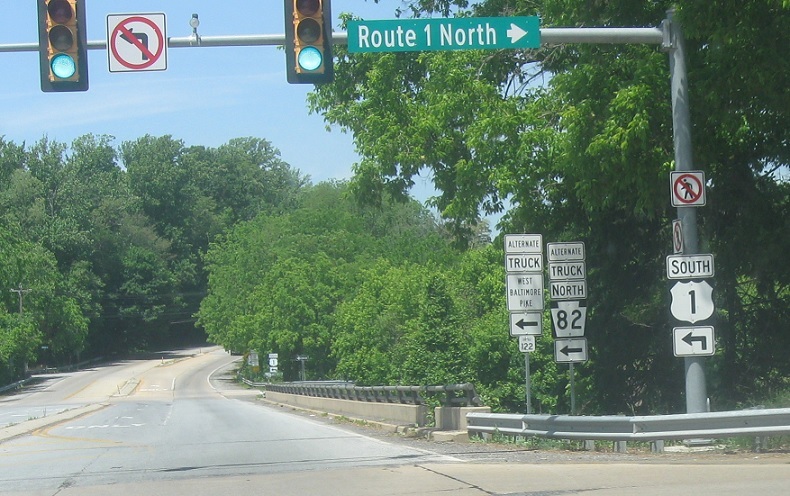 As we approach Kennett Square, turn right for an unofficial truck bypass. 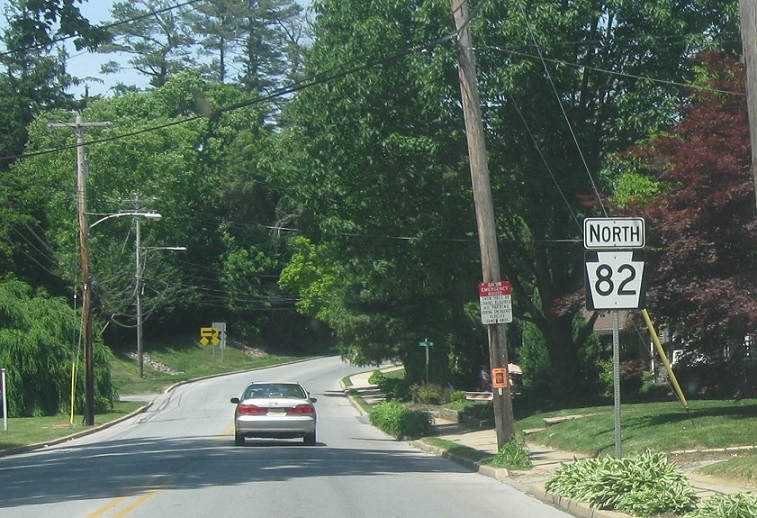 Or turn left to stay on 82 north. 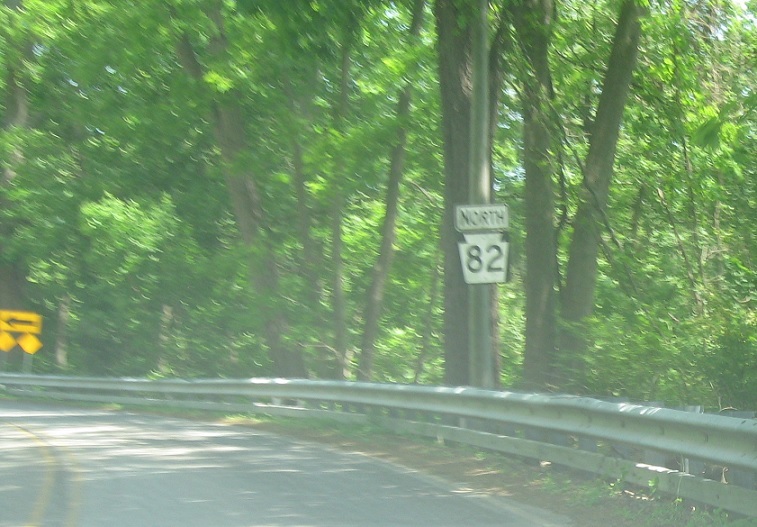 A hundred feet later turn right to get back on course. 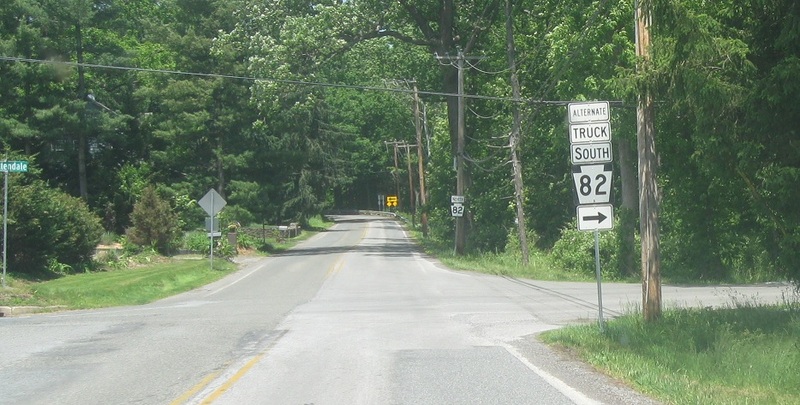 Reassurance shield after the truck bypass comes back. 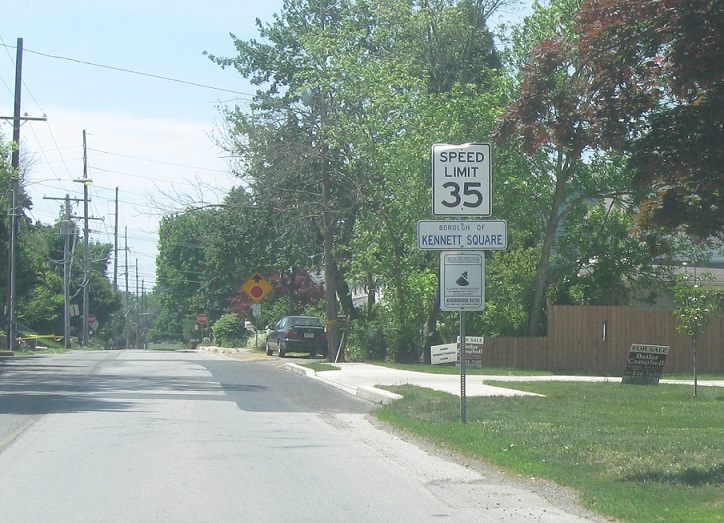 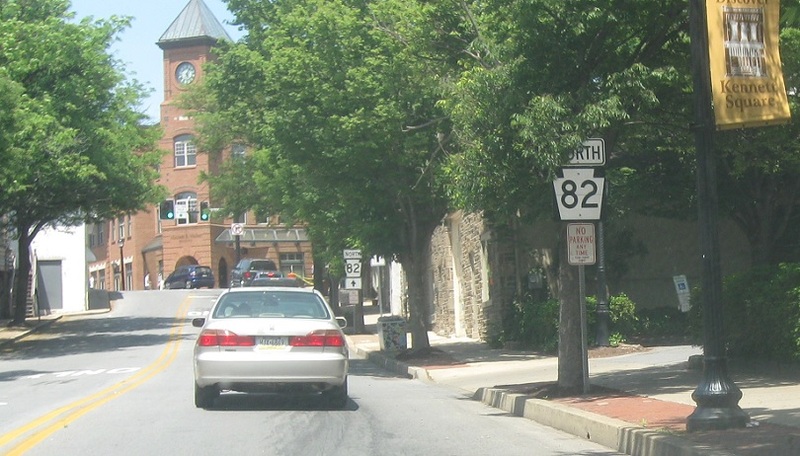 Just after that, we’ll enter Kennett Square. 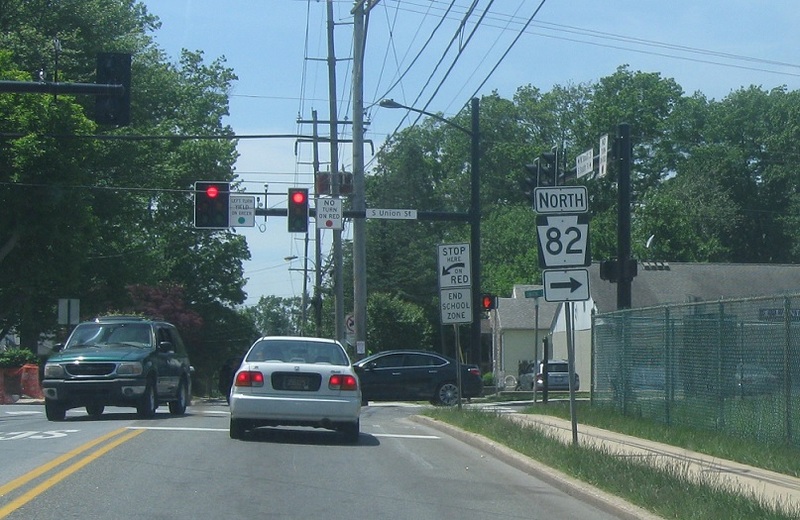 At the light turn right to stay on 82 north. 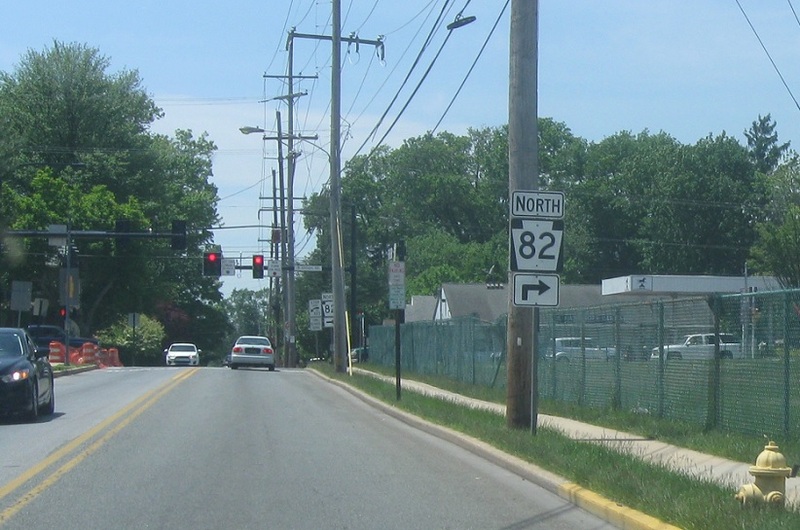 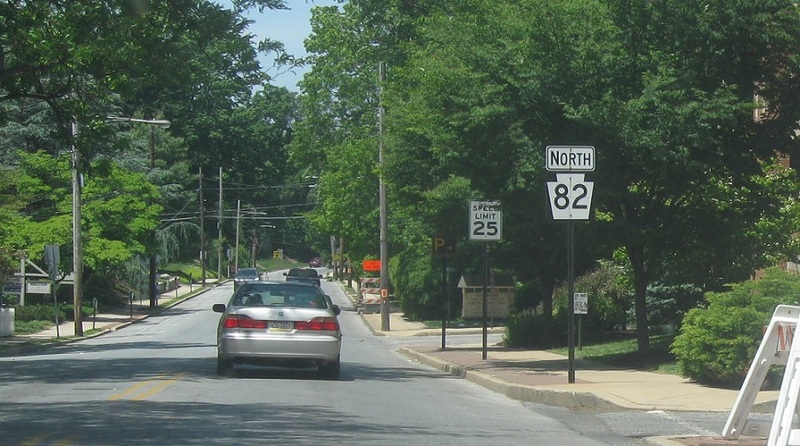 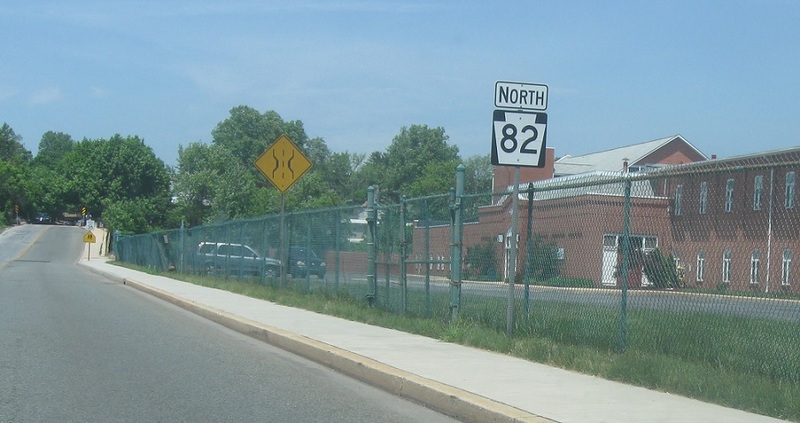 Turn right to stay on 82 north. 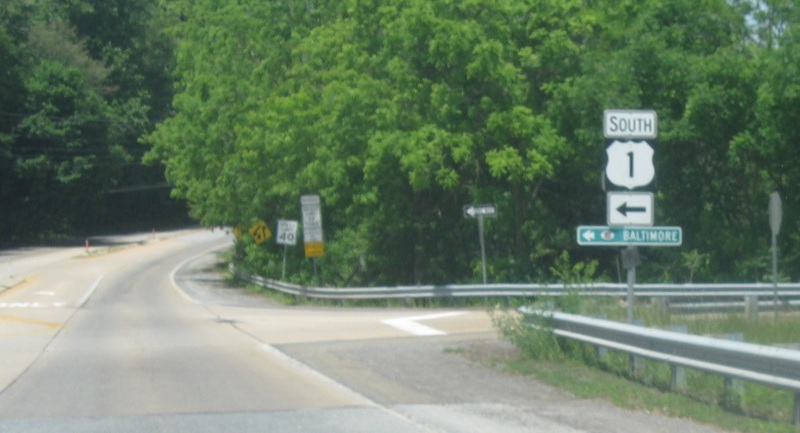 Reassurance shield as we enter downtown. 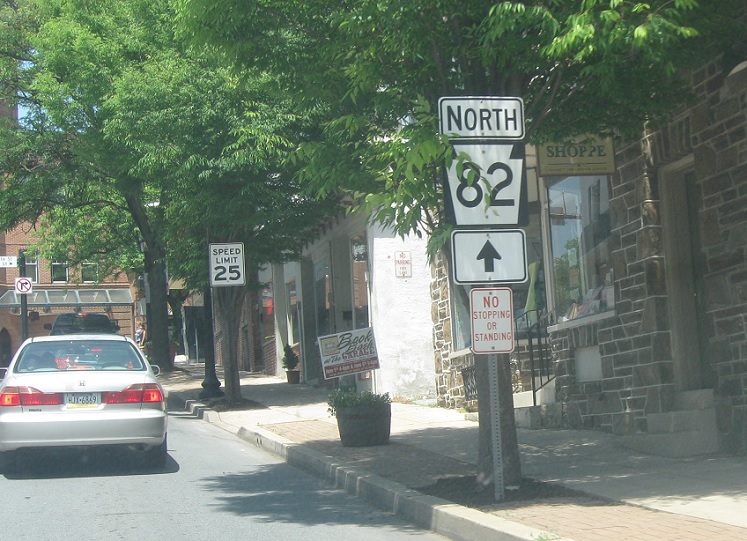 Stay straight to stay on 82 as we pass through scenic downtown. 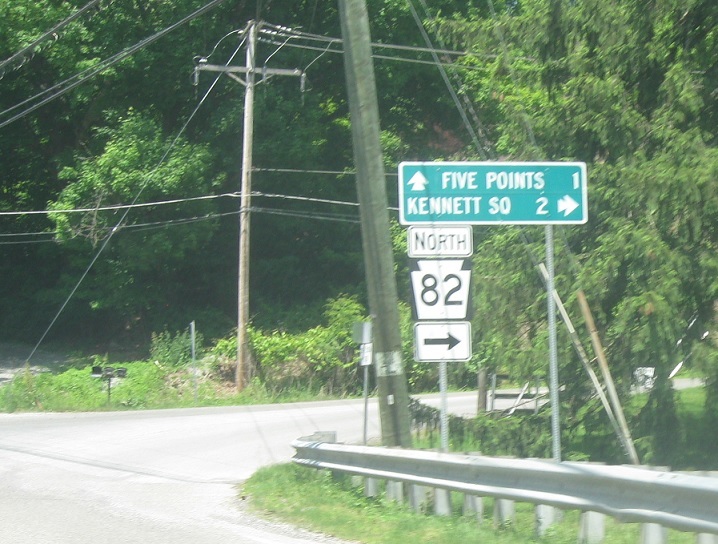 As we head out of Kennett Square we’ll approach Route 1. 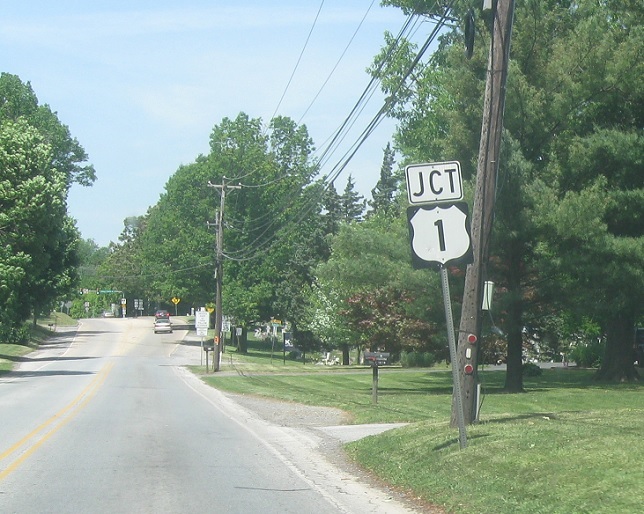 Turn right ahead for US 1 north. 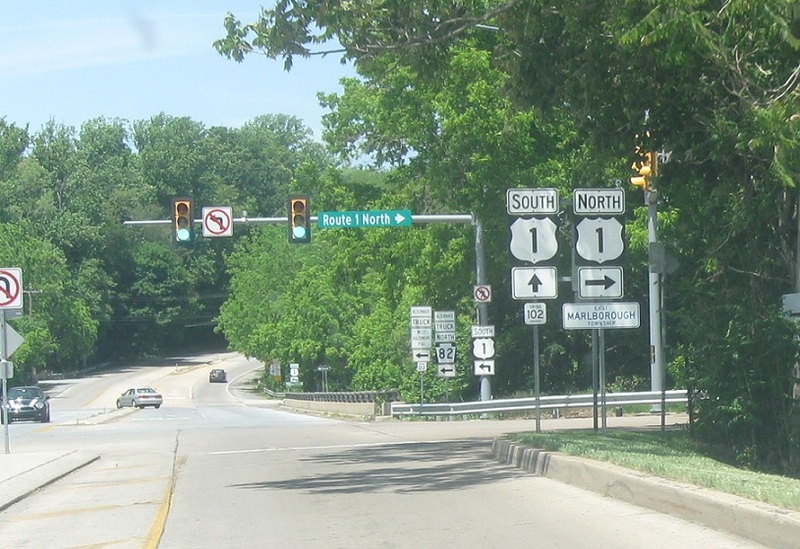 Turn right for 1 north. 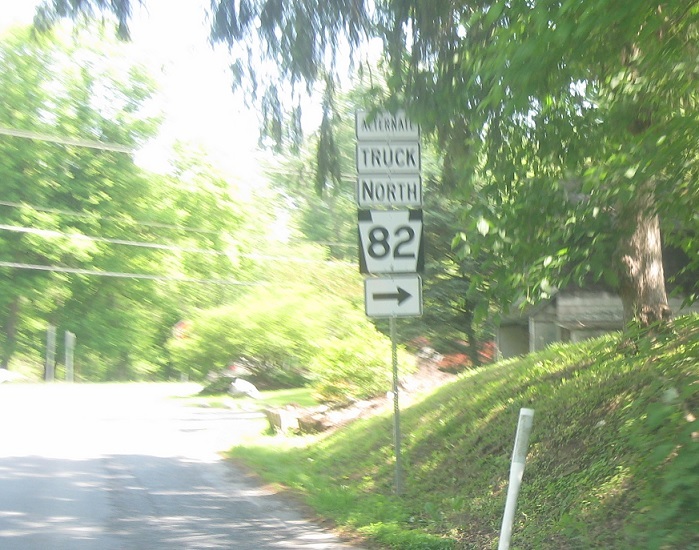 1 south also serves as an optional truck alternate for 82 north. 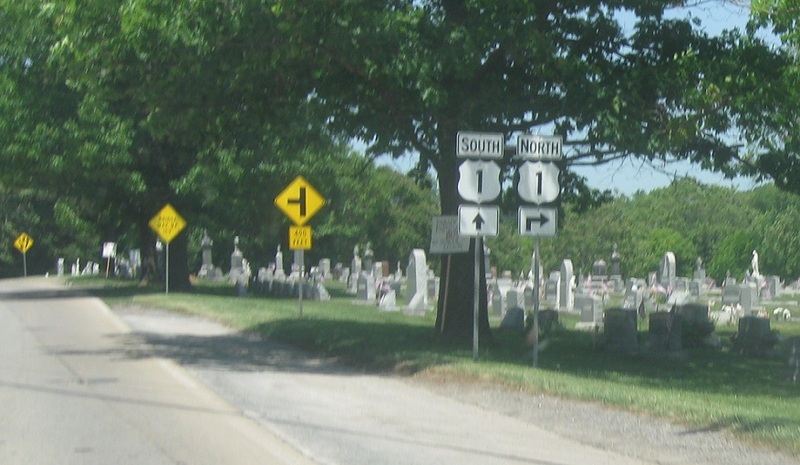 Follow 1 south to Baltimore, Md.